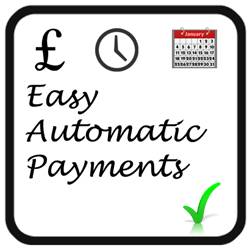 Instant, automated, calendar-scheduled regular payments, direct to you. By dropping in your lesson timetable and your lesson price, you schedule future lessons, which get paid automatically. The student signs up to pay by automatic payments. Easy for them. Easy for you. Using the power and trust of world renowned payment provider PayPal, you and your students can safely and securely transfer the lesson fees. Powerful encryption means your money is safe. Invoices are automatically sent out by email 3 days before payment - and receipts are sent out instantly - to you and to your students. You can hit print to take care of your bookkeeping. ... Calendar-scheduled, frequent, repeated and automated payments. You get paid automatically every payment-period (weekly, monthly, half-termly, termly or yearly? You decide). The TutorPay system calculates how much to charge, based on your price-per-lesson and the number of lessons in that billing period. Once it is setup, you dont need to worry about taking cash or cheque payments, taking them to the bank, recording who has paid and who hasn't. It is all done automatically for you. And you're helping your students and parents out. They get to use easier, faster payments, without the hassle of finding the cash or chequebook. Its far easier for them to pay by Direct Debit or scheduled credit/debit card payments. Think of anything you pay for by Direct Debit or automated, repeat credit card billing. Most people tend to forget it, or at least, it is easier to leave it to run, and not dispute it or switch. Most people don't cancel. Many companies rely on ​this ease of automatic payment to continue to grow their revenue. 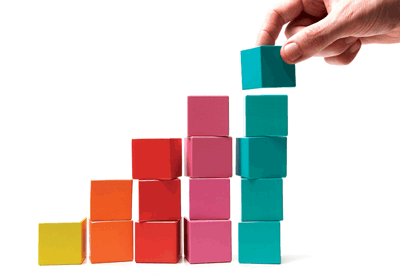 Do not underestimate what this growing continuity can do for your tutor business. All this means more power to your business. First, you define your tutor fees per lesson. 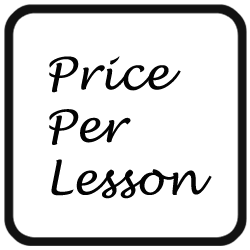 How much do you charge for each lesson? Next, you define how often you want your students to pay you. 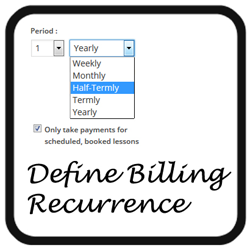 This is your 'Billing Recurrence' or your payment interval. 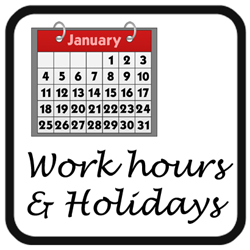 You might want to be paid weekly, monthly, half-termly, termly or yearly. If you choose to be paid either half-termly or termly, you can define your specific term dates (because they vary from school to school, and from region to region). Next, you define when you're working and when you're not. We all need a holiday now and then. So outline when you're off, so your TutorPay account knows there are no lessons to charge for then. Next you outline how often each of your students have lessons with you. For example... If you say 'Tommy' has weekly lessons, your TutorPay account will charge Tommy, for 1 lesson per week, within this billing-period, unless you have a holiday. So your TutorPay account can charge the right amount, without you doing the work to chase payment etc. Another example... 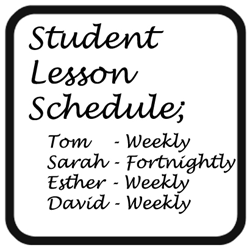 If 'Sarah' comes for lessons every fortnight, add that in as a 'rule', and your TutorPay account will only charge for weeks when there is a lesson scheduled, and when you are working (not on holiday). Alternatively, you can manually add each students' lesson to the calendar. And the invoices and payments happen automatically. Again, you don't lift a finger to work this all out... and neither do your students or parents. 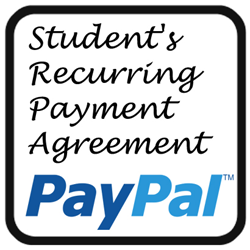 Next, your students or parents sign up to your future-payment recurring billing agreement. PayPal call it a 'PreApproval'. So the student/parent signs up to this 'PreApproval'. This works in very similar way to a Direct Debit. It is a quick and easy process for them. The student/parent agrees to future payments which may vary in amount, at the Billing Recurrence payment-interval (time between payments) which you defined earlier. And for you, no need for you to find the time to remind them to pay​. Now, your students/parents don't need to lift a finger to pay you each time. You've just made their life easier, and they love you for it! And you don't need to chase payment, take cash and cheque payments manually, carry the cash and cheque pile to the bank, join the queue... then record who has paid and who hasn't. All the boring, tedious admin has been done for you. You simply check the Admin Panel to see who has paid, in one simple glance. And your lesson fees come in like clockwork, fully automated. Don't worry about any invoices ever again. Your TutorPay account will generate and send out all the necessary invoices, as well as the payment confirmation receipts, to your student and to you. Invoices are calculated, generated and sent out by email 3 days prior to your payment date (this '3 days' is the default setting. You can change this if you want). On the payment date, instantly once payment is successful, the payment confirmation receipt is emailed out to you and to your student. So if you define a payment date as 30th April, on the 27th April the invoice amount will be calculated, and the invoice is emailed out to your student and a copy emailed to you. On this payment date, payment is then automatically made, and instantly, a payment confirmation receipt is generated and emailed to your student and to you. Invoices are created and sent instantly and automatically for you. So the invoicing is easy... because it is done for you. And now, with the Easy Admin Panel, your bookkeeping is done for you too! With all the information you need for your revenue bookkeeping in one simple table, all you need to do for your Accounts is hit print. You can drill down into any section and print that too. 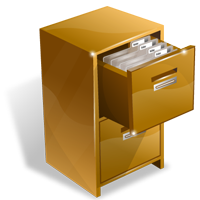 And you can download the file of all your payments, in one go, to give to your bookkeeper. Think of your bookkeeping costs every year (or the amount of time it takes you to do it personally yourself). That is the saving you make straight away by using TutorPay. This all started with fed up parents. We, the team behind TutorPay are parents of children taking extra tuition lessons. And we are also tutors. And we know the frustrations as tutors, of then handling the cash and the cheque-pile at the bank, queuing, and then recording who has paid and who hasn't. And that is why we built TutorPay for you. So you don't have to endure that hassle. And we wanted to make it as easy and low cost as possible for you. So we dont charge for it. Primarily, because our system is built intelligently, the running costs are minimal. We cover our costs and make our money in a few ways. We offer a few advanced services which add functionality for future use (these are advanced settings, not necessary for 96% of tutors). For example, extra bandwidth, if you have over 500 of students (simply talk with us if you think you might need this). These extra services are totally optional. We suggest not using them to start with. It is better to get a small number of your students into the TutorPay system and increase your use over time. We use the world-renowned and trusted PayPal system to automate and take payment. They do the financial transaction part. And for that, they charge a small fee, from only 1.9% plus £0.20 per transaction. So that is all you get charged. We don't charge you anything over and above this. The transaction fee breakdown is here. We don't charge any monthly fees or any over-riding additional charges. It's about you. Getting your money. As simply, and as quickly as possible. Your students pay direct to you - no intermediaries in-between. So you're in complete control of your refunds. Student cancels within 24 hours of the lesson? Any refund decision is yours to make. Student simply stops coming, with no advance-warning? TutorPay is based on the power, security and trust of PayPal. PayPal handles transactions of £115 Billion per year. That means £115 Billion is entrusted to PayPal every year. Your TutorPay account is handled by PayPal's processing power and security. PayPal offer a money-back guarantee with their Buyer Protection & Seller Protection, which is outlined here (a bit like ABTA and ATOL for holidays) to secure and guarantee that you're in safe hands. When your students pay you, they pay direct from their account to yours. We don't touch your money. The PayPal fees are taken off and the rest is entirely yours to do with as you wish. So your satisfaction is guaranteed. Just like the rest of the £115 Billion that goes through PayPal every year. We are focused on giving the best service to the tutors who sign up with TutorPay. Due to limitations of server technology and staff, we have to limit the number of new tutors signing up each month. So new signups are strictly limited to only 100 new tutors per month. This way, we can give you the (free) help and support you might need setting up to make maximum use and benefit from the TutorPay system. Before you go, please take 20 seconds to tell us why you are leaving or why you thought TutorPay was not for you?